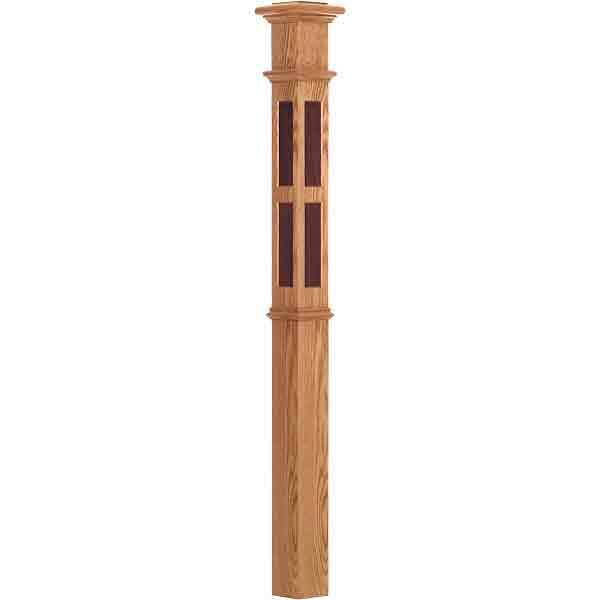 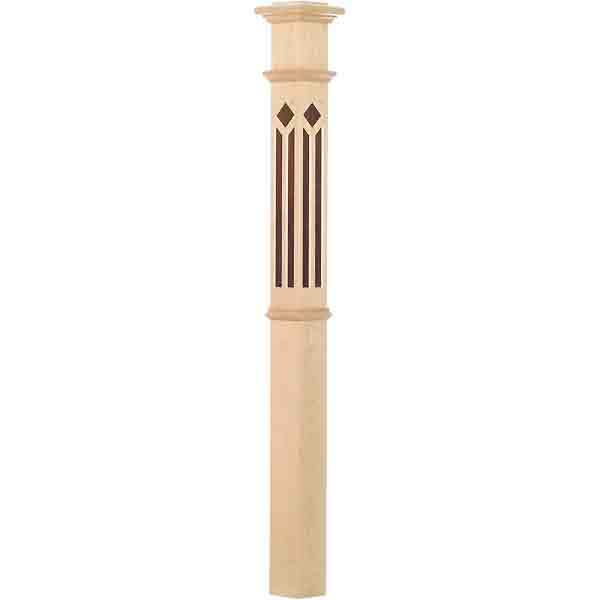 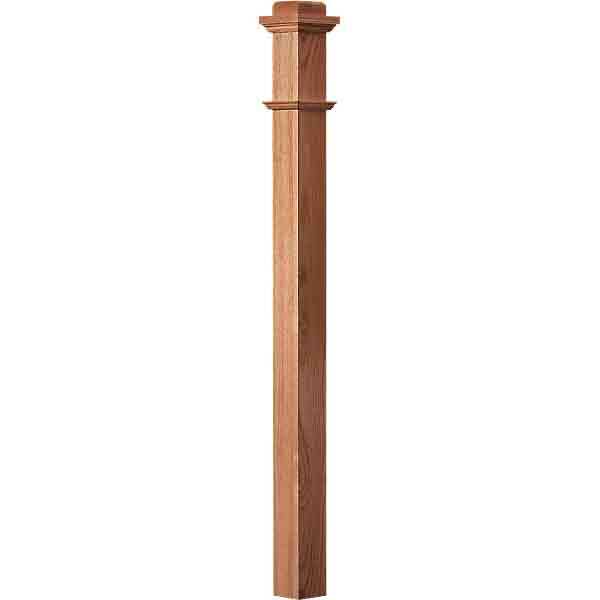 The 4096 Diamond/Trapezoid Inlay Box Newel is truly a grand newel at 7 1/2″ x 53 1/2″. 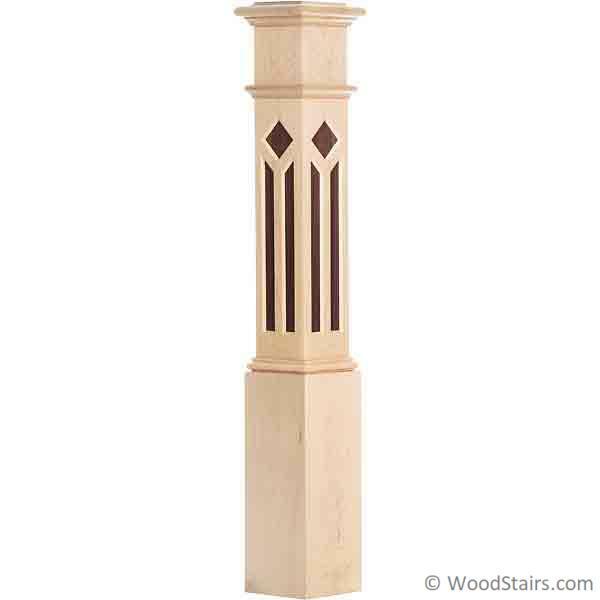 The Inlays are available in Cherry, Oak, Maple, Silver Vein, Bronze Vein and Primed Matte Black. 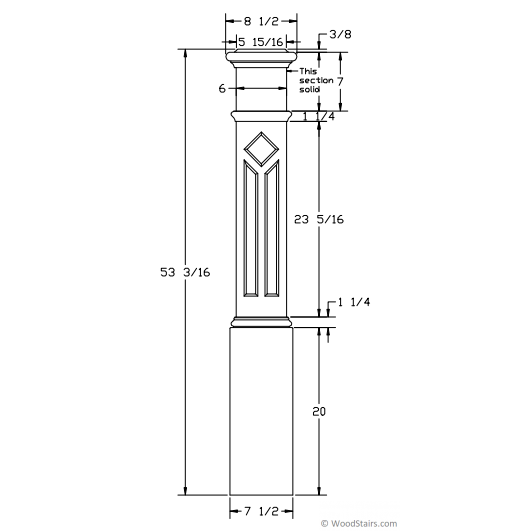 Be sure to identify the Inlay material in the Notes at checkout.